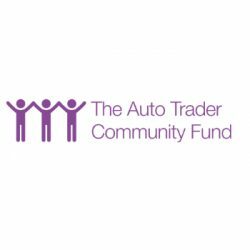 The Auto Trader Community Fund welcomes applications from grassroots community groups based in any of the ten boroughs of Greater Manchester. The Auto Trader Community Fund aims to encourage and support grassroot community activity. This means small, community-based and locally controlled groups that manage themselves, encourage people to get involved as volunteers and who just need a bit of financial help to be able to work with their community in the way they’d like. Is there anything we can’t apply for? Auto Trader Group plc is the UK and Ireland’s largest digital automotive marketplace. Auto Trader sits at the heart of the UK’s vehicle buying process and its primary activity is to help vehicle retailers compete effectively on the marketplace in order to sell more vehicles, faster. Auto Trader listed on the London Stock Exchange in March 2015 and is now a member of the FTSE 100 Index. The marketplace brings together the largest and most engaged consumer audience. Auto Trader has over 90% prompted brand awareness and attracts circa 48 million cross platform visits each month, with circa 70% of visits coming through mobile devices. More than 80% of all time spent on automotive classified sites is spent on Auto Trader. The marketplace also has the largest pool of vehicle sellers (listing more than 437,000 cars each day). Over 80% of UK automotive retailers advertise on autotrader.co.uk and around 80% of all used cars sold through the motor trade appear on the site. Auto Trader’s market-leading position enables it to generate and collect large amounts of data on the UK’s automotive marketplace and leverage its possession of such data to create a suite of products which helps retailers. Auto Trader and Forever Manchester recognise that great things happen in and around Greater Manchester on a daily basis and we want to shout about it! The idea behind the Auto Trader Community Fund is to provide a positive, friendly and accessible approach to gaining much needed financial support for your group.